The state of California and L.A. County have agreed to purge as many as 1.5 million inactive voter registrations across the state. Judicial Watch sued the county and state voter-registration agencies in L.A. federal court, arguing that the state was not complying with a federal law requiring the removal of inactive registrations that remain after two general elections, or two to four years. 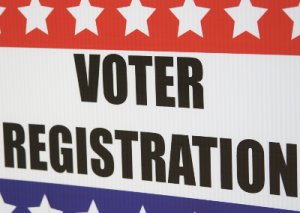 The lawsuit alleged that Los Angeles County, with more than 10 million residents, has more voter registrations than it has citizens old enough to register – with a registration rate of 112 percent of its adult citizen population. The lawsuit also uncovered that neither California nor Los Angeles County had been removing inactive voters from the voter registration rolls for the past 20 years. 19.6 million Californias are registered to vote in Tuesday's midterm - more than for any election in state history. Capital Public Radio's Chris Nichols has more on record registration.